Jumbo mortgage programs in Appapolis have recently expanded to include many new reduced down payment options. 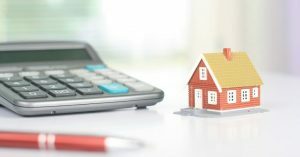 These low down payment options are especially attractive to high-end buyers that have sufficient income but lack the typical 20% down payment required by many Jumbo loans. Before we begin it’s important to know exactly what is considered a Jumbo loan? Basically, any loan that exceeds the conforming loan limit for Anne Arundel County would be considered “Jumbo” The current loan limit for Anne Arundel and Baltimore County is $517,500 for a standard 1 unit property. There are other high-cost counties in Maryland that permit conventional loan limits up to $726,525, see the 2019 Conforming Loan Limits here. Homebuyers should keep in mind the limits are based on the actual loan amount, not the sales price of the property. For buyers exceeding the conforming loan limit, a Jumbo loan will often be required. New Jumbo programs today allow approved home buyers to financing up to 95% and come in many different configurations. These programs do have restrictions based on credit, loan amount, among other factors. Below we will break down the basic requirements Annapolis home buyers will want to know before applying. If you have questions, please call us at the number above, or just submit the Quick Contact Form on this page. All programs are reserved for primary owner-occupied homes and second homes only. Investment homes are not permitted. All programs will require full income and asset documentation. This means two years of W2 and/or tax returns for self-employed home buyers. Buyers must meet qualifying debt to income ratio limitation, which will vary based on many factors. Buyers should also be able to provide satisfactory documentation in regards to assets – savings, retirement, etc. Eligible property types include regular single family homes, townhomes, and most condos. New construction being sold directly by a home builder is also permitted. Buying land/lot and building your own home (construction-to-perm) is not permitted. Loan term options include all the basic fixed rate 30-year, 15-year terms, along with various adjustable rate 5/1, 7/1, 10/1, etc. Amortization is based on standard principal and interest. “Interest Only” options are available on a very limited basis. Credit rating is a critical part of getting approved for a Jumbo loan. Since the amount of the loan is large, the risk of default is also higher. So the Jumbo lenders have strict policies for scrutiny of the borrowers who actually qualify for Jumbo loans. Loan amount, credit history, reserves, and income are some of the crucial factors that determine the eligibility of the borrowers of Jumbo loans. Let’s look at the loan amount and credit requirements below. Buyers should have a min 700 credit with no hardships (foreclosures, BK) in the previous 5 years. The current loan amount limit for 95% financing is $2,000,000. 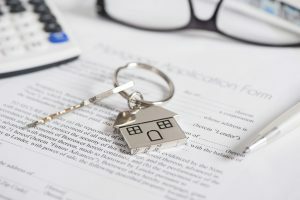 Buyers will also need satisfactory payment “reserves” Payment reserves are the amount of assets a buyer has left over after their down payment and closing costs have been paid. The requirement will vary but generally ranges from 3-6 months reserves. This means if your mortgage payment is $5,000 per month, the amount of reserves should be $15,000-$30,000. Note: the reserve requirement can be satisfied by non-liquid retirement accounts (401K, IRA, etc) it does not need to liquid savings. Buyers should have a min 720 credit with no hardships (foreclosures, BK) in the previous 5 years if financing the max amount. The current loan amount limit for 90% financing is $3,000,000. Buyers with credit down to 680 and 10% down can be approved for lower loan amounts below 2mil. Just like above, buyers should have satisfactory reserves. Again, this amount will depend on credit profile and loan amount, but those borrowing over 2mil should have at least 9-12-months of reserves. Financing for second homes/ vacation homes is permitted. These programs are limited to 90% financing and $1.5mil loan amounts. All the requirements listed above also apply to rate & term refinance transactions. Homeowners also have cash-out refinance options, however, the programs are limited to 85-90% loan to value. Please connect with us 7 days a week to learn more about any of the programs listed above.